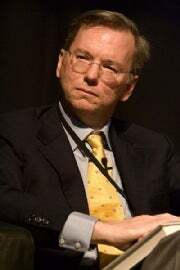 Did Google Push Schmidt Aside Over Facebook Challenge? Today's announcement that Google cofounder Larry Page would replace Eric Schmidt as the company's CEO was a surprise, but maybe it shouldn't have been. While the company's earnings are still stellar, Schmidt has made a series of embarrassing statements and the company has endured some very public failures. But is it really the best idea to turn over the day-to-day operations of one of the world's biggest and most important companies to the guy who conceived of it in his dorm room at Stanford University? There's no doubt that Larry Page is a genius with technology, but does he have the discipline and know-how to keep a 24,000-employee company--one with its fingers in dozens of different businesses--not only running but advancing? That question makes this management shuffle a very high-stakes gamble. In the world of startups, the founders of companies--especially founders who are most involved in the technical side of a product--typically aren't the best people to lead those companies over the long run. Once a company achieves a critical mass, investors often insist on bringing in what they call "adult supervision": an experienced businessperson to take day-to-day control as CEO. And that pattern played out in the early days of Google. Page and cofounder Sergey Brin shared the company presidency during the search engine's early days, from 1998 until 2001. Then they hired Schmidt as CEO. Schmidt had been CEO of Novell and had a string of management positions in other technology firms, including Sun Microsystems and Xerox. Still, you can make a strong argument that Google needed new leadership. Perhaps the biggest problem was Schmidt's recent penchant for making statements that reinforced the creepy feeling many people have about how much Google knows about us. In October, for instance, Schmidt had this reply for people who don't want their homes photographed by Google Street View: "With Street View, we drive by exactly once, so you can just move." In August, Schmidt suggested that most children might need to change their names once they reach adulthood in order to disavow all the embarrassing information they've posted on the Internet in their youth. Some people were creeped out by Schmidt's vision of the future of search, in which Google will use what it knows about you to suggest information that you'll want, rather than waiting for you to enter a query. And though Google's business is clearly thriving overall and Android has been spectacularly successful, some ugly failures have occurred recently. Perhaps the worst is Google's inability to make headway in social networking. Unless you live in Brazil, Orkut is probably a nonentity to you. And since its much-heralded debut, Google Buzz has just lain there like a squished bee. Factor in the shuttering of the supposedly revolutionary Google Wave and the fact that Bing has become a solid competitor in search, and there's certainly reason for concern. 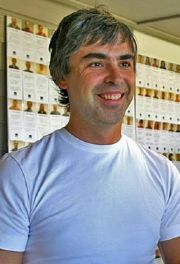 The question for anyone who's interested in Google's success is whether Larry Page is the right person to take over. Should Google instead have brought in another "adult," someone with solid experience running a huge organization? And has Page--whose education, after all, was in computer science, not business--learned enough at Schmidt's elbow to take over day-to-day responsibility? Gartner analyst Allen Weiner told the IDG News Service: "I can say with some assurance that if [Page] went to apply for the CEO job somewhere [else], he wouldn't get it." But while the conventional wisdom is that the founders of tech companies don't make great leaders, you can also point to two great exceptions: Bill Gates and Steve Jobs. Google employees and shareholders had better hope that soon we'll be adding Page's name to that list of exceptions.